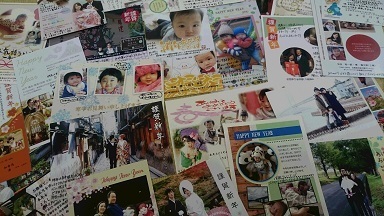 Every year, I look forward to “nenga-jo (=new year’s greeting cards)” from our clients. And the pleasure of having them grows stronger as the years go by. It’s great that so many client couples are in contact with us even after their weddings. 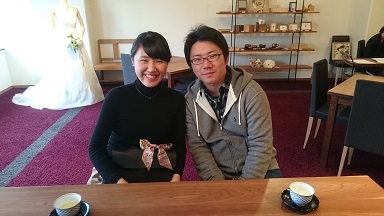 Mr.and Mrs. Sakai who had got married with our service last year also visited us lately. “I wish if I could have a wedding ceremony every year” said Mrs. Sakai in a bright smiling face like she had on her wedding day. I would like to respect “GOEN (=fate to encounter)” with clients, and make a lot of couples happy this year too.